Fan fare! 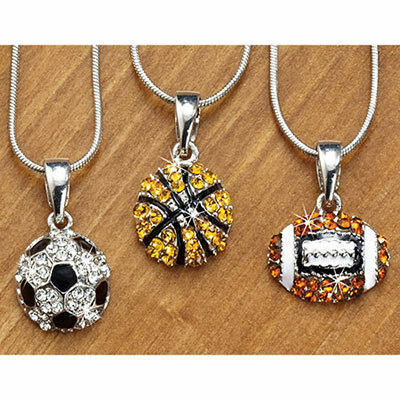 Show off your love of the game with a colourful, enameled metal pendant encrusted in sparkling crystals or have them all and change with the seasons! Makes a perfect gift for fans or athletes. Silver tone snake chain, 16"l with 3" extender; lobster claw clasp. Pendant, approx. 1"l.